Who is Twins and Me? Oh! 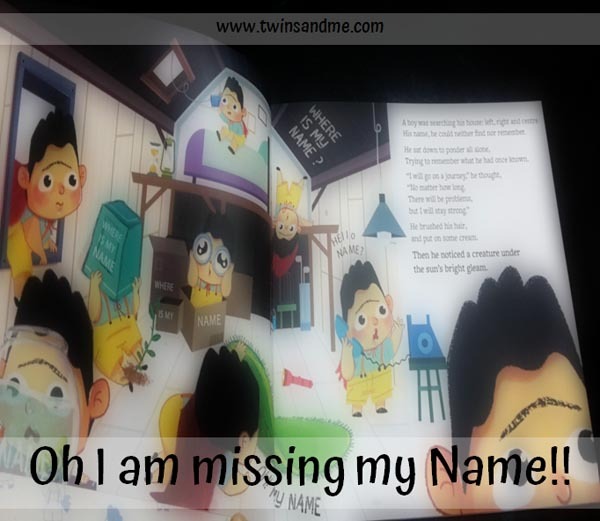 My Name is a children’s story book which comes with a difference. Nikhil Mittal is the creative author of this book and the eye catching art work is done by Living Waters Creative Studio. Dear Parents, today I will be presenting my review of this unique personalized story book. Read more to know how my twins reacted to this new arrival to their mini library! Disclosure : I received a free copy of this book in exchange for an honest review. All opinions are my own and are not influenced by the company, author or any affiliates. What Oh! My Name claims? Oh! My Name comes with a back story, where a father and his daughter were reading a story book and the daughter lacks interest in between. The father is worried that his child is not excited about reading books. But the child assures him that she likes books but only she will find it more interesting if she can find her name in the book. And there sparkled an idea, turning the father into an author who has creatively come up with the personalized story book Oh! My Name which his daughter loves, so do will every other child. A child’s name has gone missing. Getting it back is his/her aim. In this journey, she discovers new places, makes new friends and finally completes the adventure with the exhilaration of finding her forgotten name. While placing the order for the book, you will be required to provide your child’s name and a dedication message. The dedication message will be printed on the first page of your book. The letters of your kid’s name will be used to personalize the story. How one day he forgets his name. Starts with a quest to find his name. Collects the alphabets in his name throughout the journey from different characters. And finally cheers up in excitement for having found his Name(which will be printed at the end of the story). In the course of the story, a character called Dabi will become your child’s friend who will accompany your kid in his quest. 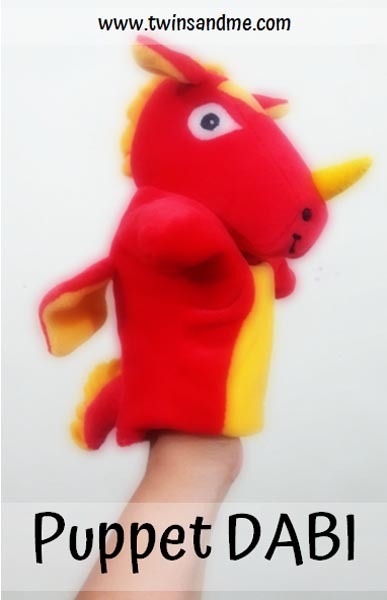 This character Dabi is presented as a puppet (for free) with your personalized copy of Oh! My name. Your child will experience the story to be real with this puppet Dabi alongside him. While ordering for this book, you can see a preview of what pages will be included in the book based on your child’s name. It will give you a heads up on how your book will look after print. Books are always my best companions. Technology has risen to unreachable heights and its impact on books is indeed disheartening. We have not stopped reading books, rather our book shelves are becoming empty and our memory cards and kindle storage are exploding. The craze on hard cover books is dwindling. But still there are people who cherish and celebrate the joy of reading real paper books. I am one such person who loves to have my own library of my favorite picks. And I have never failed to inculcate reading habit in my kids. Right from their infancy when they started to observe things I introduced them books appropriate to every stage of their life. Now they have bloomed into mini book lovers who will be pretty happy to pick a book over a toy. Having said that, we were in real excitement when Oh! My name arrived. Before reading any book to my kids, I have the habit of giving a complete read myself once. This will give me a chance to work on how to narrate the story interestingly when I read aloud to them. Also it will help me to make few little tweaks if in case I felt some part of the story is not suitable for their little minds. So when I was reading through Oh! My Name before hand, to find out how the story flows, I was quite impressed. My twins are finishing their pre-school now and are in the rousing stage of learning and identifying alphabets. They are yet to memorize the letters that combine to form their name. Children tend to grasp things faster when we teach them in an amusing and appealing way. Hence I found Oh! My Name will be a good start to teach them how to spell their name. And while ordering for the copy, I used the common part of my twins name so that both will feel connected to the book. The language was simple and rhythmic. There were some new words which I was yet to add to my kids growing vocabulary. The pictures were colorful and eye-catching with minute details crafted well. This will intrigue my little ones to engage more as pictures speak more than words for their age. The quality of the paper was very good and will be apt for their clumsy little hands. The presence of the puppet Dabi will fire their enthusiasm even more. So that was from the Mom’s side. I felt Oh!My Name to be a win-win for me and my kids. Let’s find out what was their response. How did it actually work with my kids? I gave a short prep to my kids about the book and what they can expect in there. They were electrified to dig in more. And we started the story session right away. Their first admiration was for the pictures. They stopped me from reading and questioned me what the boy was doing in each of the pictures. Once they were convinced with my answers they let me continue reading. And when the part of introducing Dabi came, I showed them the puppet. They were blown up to see a character from the book getting out live. During the course of the story many characters were introduced and my dearies had heaps of queries lined up to explore them. I hoped to wind up the session within 20-30 mins but it went on more than that. We often do a skit after reading stories which fascinated them more. Each one of us will take a role and enact. Today after our story session, my elder twin took the role of the boy, younger as Dabi with the puppet in his hands and I played the other characters the boy meets. We enjoyed and relished performing every part of the story. But one point which worried my younger twin was that Dabi didn’t converse much during the adventure( so he couldn’t as well while playing the skit ). It was the child and other characters doing much of the talking. As Dabi was live with him, he expected it to talk more. There was a query from my elder twin – “Why my picture is not there mama, if that boy was me?” . I somehow managed to give him a convincing reply. And that left me with a thought, adding a picture of the child either to the dedication page or at the end of the story where he finds his name will make the book still more personal. Those were some meager let downs other than which the kids enjoyed every aspect of Oh! My Name. Educational for preschoolers who are in the initial stages of learning alphabets. Preview of the book while placing the order. Puppet Dabi enthralls the kids. Quality hard cover and paper. Dabi’s involment and dialogues in the journey could be hiked up. A personal photo of the child could be included at an appropriate place in the book(I guess it may shoot up the price though). If your child is a preschooler, Oh! My Name will be a good choice to teach him spell his name in an intriguing way. If you have an older kid who has started to read books on his own, this will be a perfect gift to encourage his reading spirits. Along with a personalized dedication message, this book will certainly remain as a good memory even as our kids get older. They will cherish it as a valued possession refreshing the thought how they learnt their name when they were little ones. 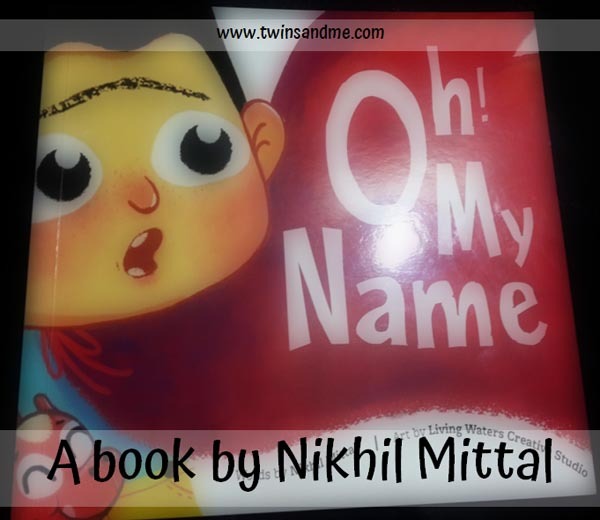 Me and my twins firmly recommend Nikhil Mittal’s Oh! My Name story book for a good read. It can add a gem to your kids book gallery. You can order for this book at Oh My Name website and can contact Nikhil Mittal through various social media.